The new Gutenberg editor brings many interesting changes to WordPress. It takes away some features and adds some new improvements. In the case of PublishPress, Gutenberg did take away custom statuses (we hope to have a fix for that very soon). But, it also offered ways to make PublishPress better. 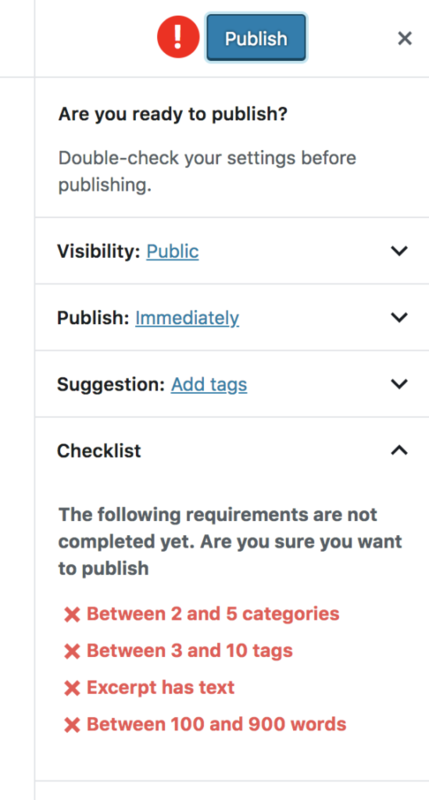 Today, we’ve updated the Content Checklist to support the new pre-publish panel in Gutenberg. To the best of my knowledge, we’re the first plugin to use this cool new feature. We think this is a real improvement. 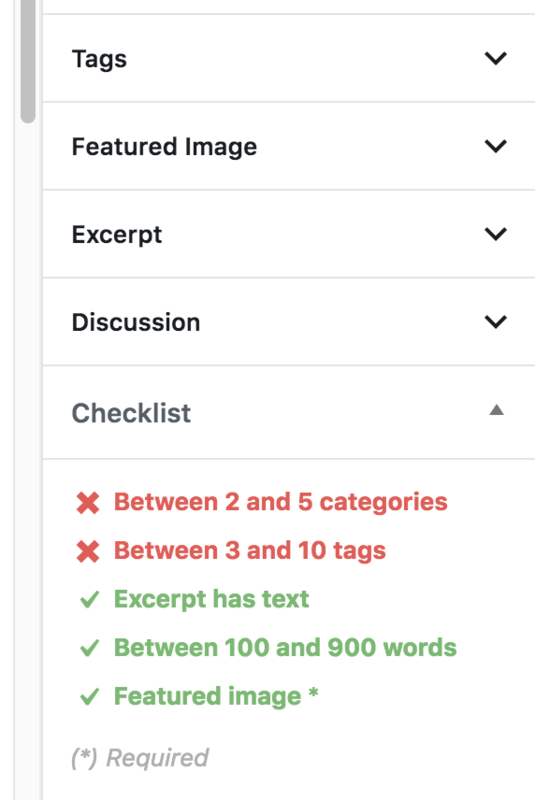 Thanks to Gutenberg, the Content Checklist fits much more naturally into the WordPress workflow. If you want to make sure all the content on your site meets certain requirements, then give the Content Checklist a try! PublishPress is now fully compatible with Gutenberg. Hopefully we’ll find more of these new features to take advantage of. Will authors be able to see this even if they don’t have the right to publish posts? i.e. 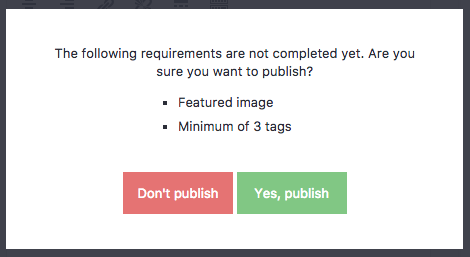 in order to hit the “submit for review” button (assuming that still exists in Gutenberg) they’ll have to complete the checklist? Hi Justine. No, this is only before publishing. Authors will still the normal metabox in the right sidebar. Is there a way for authors to see the checklist and hit publish but it go into a queue for higher level approval first? I really want to use the checklist but I don’t want my writers to have publish permission. Hi Cynthia. Sure, using PublishPress you can remove their permission to click the “Publish” button, but give them access to save posts in another status.